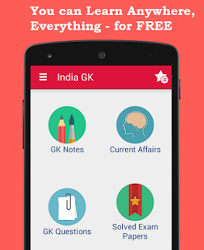 11th, 12th December 2017 Current Affairs MCQs, Quiz, Questions: Current Affairs for December 2017, Daily Multiple Choice Questions (MCQs) for India GK, World GK and current affairs with Collection of daily objective type Question by www.Indiagk.net based on General Knowledge (GK) and General Science (GS) Questions for UPSC, State PSC, SSC, Police exam, Railway exam, SBI, Bank PO, IBPC, SSC, LDC, UDC, Army, Airforce, Navy, Coast Guard, Bank Clerk, TET and all entrance examination with current affairs News, Multiple Choice Questions (MCQs) available on Website www.IndiaGK.net and Android Apps with daily updates:. Which among the given mountains has recently been named as the highest mountain peak in United Kingdom by the British authorities? Who has been elected as the new President of the Indian National Congress? Govt launches which mobile app for health workers to ease child deliveries in peripheral areas? Which bollywood actress receives Mother Teresa Memorial award 2017 for social justice?